The work has been created by Aesop Agency and shows the energy the breakfast gives to people. 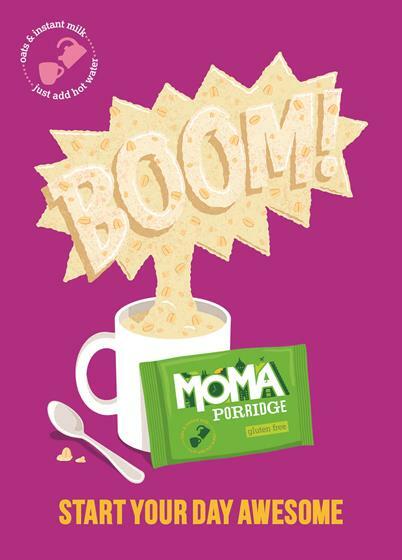 The three executions show a rocket firing out of a pot of porridge, a superhero with a spoon and one that erupts with the word "boom". The tagline reads: "Start your day awesome." It was created by Simon Diss who handled the art direction, Jamie Putnam who worked on copywriting, and illustrator Richard Pettiford. The campaign launches at the beginning of 2016 and will feature in London Underground stations. 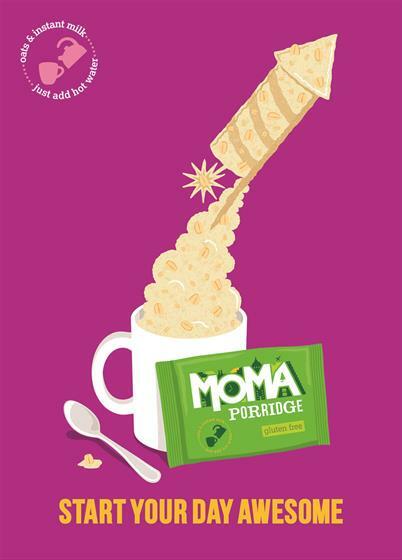 The media planning and buying was handled in-house by Moma. 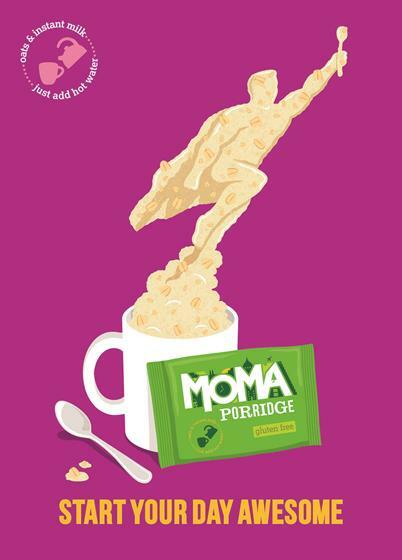 Martin Grimer, the executive creative director at Aesop Agency, said: "MOMA is a brand built on the premise of ‘making oats more awesome’ – and it seems wholly appropriate that the product should be the star of the show. It’s a bold campaign, confidently simple." Tom Mercer, a management consultant at Bain & Co, founded MOMA in 2005.